The world never got a matchup of the two biggest stars of their era, and King James wants people to know he feels that's on him. 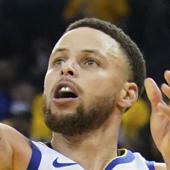 "I didn't hold up my end of the bargain in 2009 for the fans, for us, to meet in the Finals," James said Tuesday, looking back on the 2008-09 season when his Cleveland Cavaliers led the league with a 66-16 record and Bryant's Los Angeles Lakers were right behind him at 65-17. "I know the world wanted to see it. I wanted it, we wanted it. He held up his end and I didn't hold up my end, and I hate that. I hate that that didn't happen." 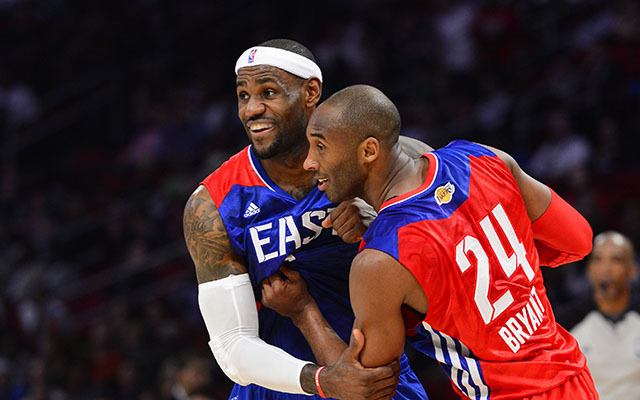 Source: LeBron James truly sad that Kobe Bryant is retiring. In the event you weren't around, Bryant's Lakers squad was terrible in 2007, and got bounced in the first round. James' Cavaliers weren't quite ready for the Big Three Boston team in 2008. They gave them a push but couldn't get past them. A real killer was 2009, though. That Cavaliers team was stacked and that was, statistically, LeBron James' best season of all time. The 2009 Cavs rolled through everyone, and with Kevin Garnett suffering an injury, it should have been the year that James and Bryant met up in the Finals. Unfortunately for those wanting that matchup, the Orlando Magic, behind a 3-point blitzkrieg that seems oddly like foreshadowing now, crashed the party. James' numbers vs. Orlando were incredible, but that Magic team was too good defensively and too well balanced. That was followed up by 2010 -- another absolutely insane year in that the Cavaliers didn't make the Finals. The Celtics were not good that season. I will stand by this until the end of time. They were bad for long stretches and were generally just trying to get through the season. They flipped the switch in a big way, and even then, really struggled in that first-round matchup. Then everything just came together and through sheer force of will, the Celtics brought themselves past Cleveland and Orlando to the Finals. It is both a credit to the Celtics that they were able to not play all that well and still find ways to win, and a damning condemnation of the Cavaliers that they didn't have the fortitude to find ways to get past Boston. James of course struggled in that series and departed for Miami months later. By that point, the Lakers were on their way out, but they didn't know it yet. Many expected a matchup that year with the Triad Heat and the two-time defending champion Lakers. Instead, the bottom fell out on the Lakers as the Mavericks swept them in the Western Conference finals. Never getting to see those two meet up is a shame. Not just because of their star power and historic greatness individually, but because they represent such different approaches to the game. Bryant, always wanting to be the one to take the shot, always looking to prove he can score, with an indomitable will that borders on abrasive to teammates. And James, always looking to make the right pass, the king of versatility and dynamic play. A guy who loves being a part of a team as much as he loves being a star. We'll never know how it would have turned out, and it's cool that James is willing to take responsibility for it, but really it was just one of those things. Life seldom turns out the way we think it should.